Corpuz Family Dentistry nurtures a comforting dental experience while promoting optimal oral health. Our guests and our team will be treated with respect, dignity, and compassion. We pledge quality dentistry with a gentle touch! To accomplish our mission we will provide a highly trained, ethical and professional staff; state-of-the-art equipment and technology; and a genuine concern for our patients’ time.Our office is paperless, green and proud! Tour our geothermal building and admire our 100% refurbished, upcycled interior decor. We have a soft water system and only use reverse osmosis water. OUR TEAM IS A FAMILY, AND WE PRIDE OURSELVES ON ONLY HIRING THE BEST. WE WOULD BE PROUD TO CARE FOR YOUR FAMILY! Let's Walk into the Kid's Zone! 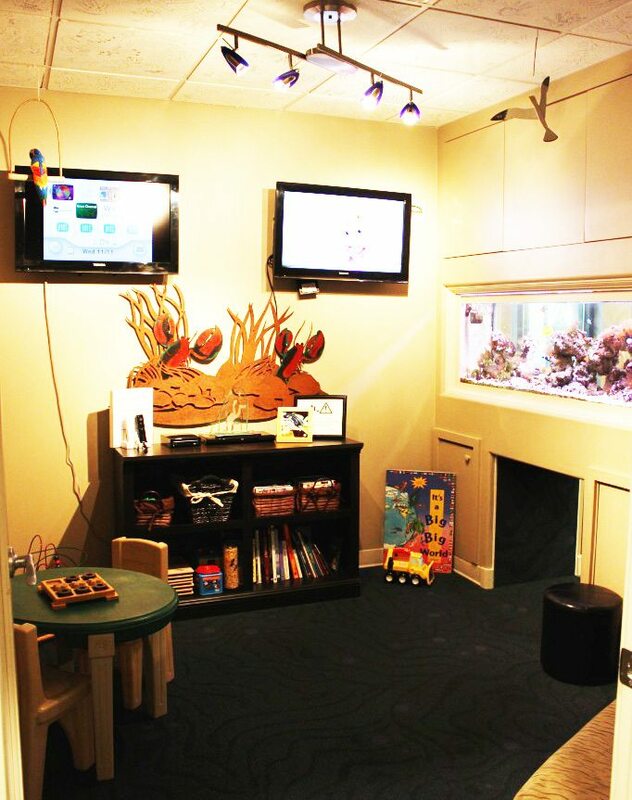 We have a kids’ zone that will keep your kids entertained while they wait for their sibling! During your child’s visit don’t forget to ask for the “Sea Side” menu, where they can take advantage of our complimentary spa services made just for kids! If you are cavity-free after your checkup, we’ll take your picture and post it on the Cavity-Free Club board. Brush those teeth twice a day and don’t forget to floss! Way to go kids! And every time you come to see us, you get to enter our monthly drawing just for kids and visit our treasure area to get a treat for being a great patient!